Dr. Richard Kruger was born in Chicago, but grew up in Springfield IL. After attending Northern Illinois University, and graduating from the University of Illinois College of Dentistry, he married a local girl and became an associate dentist of a general practice in Niles. In 1979 he opened his own general practice in Niles and maintained that office until 2013. At that time he joined Northwestern Dental Group at the Implant Center in Niles. Dr, Kruger performs restorative and prosthetic dentistry including fillings, crowns, fixed bridges, removable complete and partial dentures, as well as the restoration of implants. In 2002 Dr. Kruger established In Home Dental Care. This allows him to make dental care available to those patients unable to come to the office. 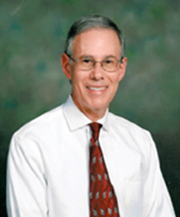 Dr. Kruger and his wife, Gail, reside in Glenview and have three daughters and two grandchildren. When he is not practicing dentistry, which he loves to do, he enjoys golfing, traveling and in particular, cruising. He has been on almost all the Caribbean cruises, except one, which he will take with his wife in February. He plans to take the Alaskan and Mediterranean cruises too in the near future!